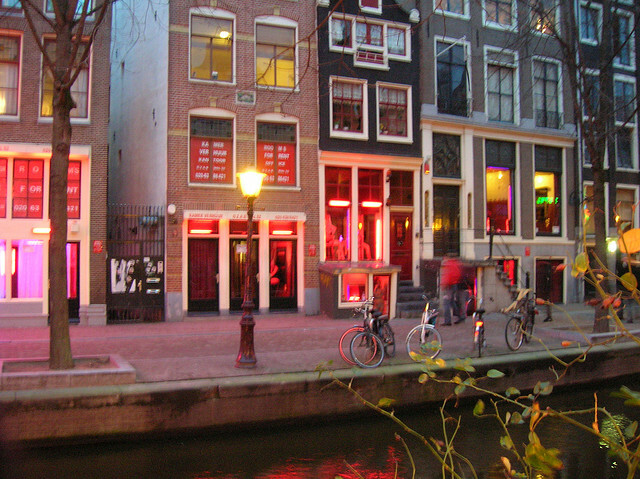 Amsterdam can easily become confusing to tourists who are visiting for their first time. With a ring of canals that all look the same as each other and a flat horizon that can make it difficult to see landmarks, it is all too easy to understand why you can get lost in the city. Another problem can sometimes be the lanes and alleys with names longer than the actual path. However, there are some great tips on staying on the right track while you’re on holiday in Amsterdam. While this may seem like an obvious bit of advice, some visitors to the city will decide that due to Amsterdam being rather compact, that they can manage without one. Getting hold of a good map can save you a lot of time wandering around aimlessly and help you enjoy your trip to the city. Many of the maps you will find in the tourist guide books can be fairly limited, so head over to the tourist office or your hotel reception and pick up a proper city map. There are other handy little tips you can use as well, such as using the Central Station as the city’s northern landmark. The city’s three main canals that form the horseshoe can be seen from a bird’s eye view are in alphabetical order – Herengracht, Keizersgracht and Prinsengracht. Notice that street names will change when the route crosses the waters of these canals. Another useful tip is to identify the main squares such as Dam, Nieuwmarkt, Leidseplein and Rembrandtplein so that you will easily be able to find them on the map. This will help you to recognise large landmarks from which to guide yourself by. Before you begin exploring the city after collecting your map, spend an hour marking things such as your hotel, different sights you would like to see and restaurants that you have heard about. It’s usually better to ask your hotel receptionist to help you do this as they will know the city better than you. As you start to explore, you can also mark down your favourite restaurants that you have eaten in or a shop that you would like to come back to and buy a souvenir. If this guide has helped make you confident of getting around Amsterdam and you wish to take a holiday there, check out http://www.cheapflights.co.uk/flights/amsterdam/ to find the best deals on your flights to this great city. If you have this tip fresh in your mind, you will be one step ahead of many of the tourists who come to the city. On any of the canals, remember that the house numbers get bigger as you head east along the horseshoe shape of the city. This is due to the fact that the western part of the city was constructed first and as it expanded, buildings began to head east. So if you come to a junction and are unsure of which way to head, check for the house numbers. If they are decreasing you are heading west and if they are increasing you are headed east. Using a map is pretty old school for city travel. If you have an unlocked phone just get a local SIM card and use the navigation function. Not that I’m knocking maps, I use them in the backcountry.